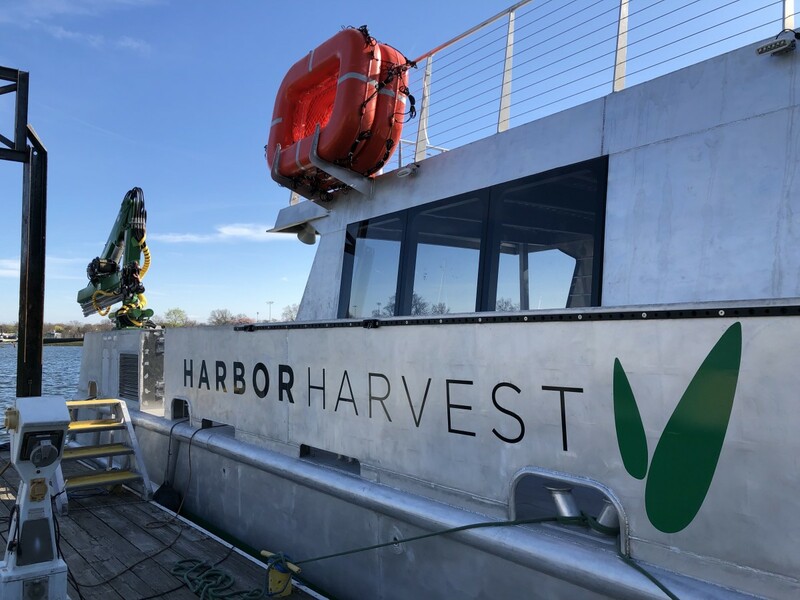 The Harbor Harvest hybrid vessel will transport goods such as farm fresh produce and artisan products across the Long Island Sound. As the old saying goes, if you want something done right, you do it yourself. Bob Kunkel owns a market called Harbor Harvest in East Norwalk, Conn. Last week, he launched a catamaran of the same name powered by lithium batteries. The vessel will be used to deliver food in a farm-to-table distribution network between Connecticut and New York. The boat will make its official maiden voyage in its home port of Norwalk, Conn., in May and it was more than 10 years in the development. According to an article on the New Haven Register website, Kunkel had been watching hybrid and electric powering options. “One day this technology is going to start to replace combustion engines, I thought, and when it does, I want to be a part of it,” Kunkel told the publication. In 2016, Kunkel’s business, Alternative Marine Technologies, started working with Derecktor Shipyards to develop the 65-foot, $2.8-million catamaran. It’s the third hybrid vessel built at Derecktor. 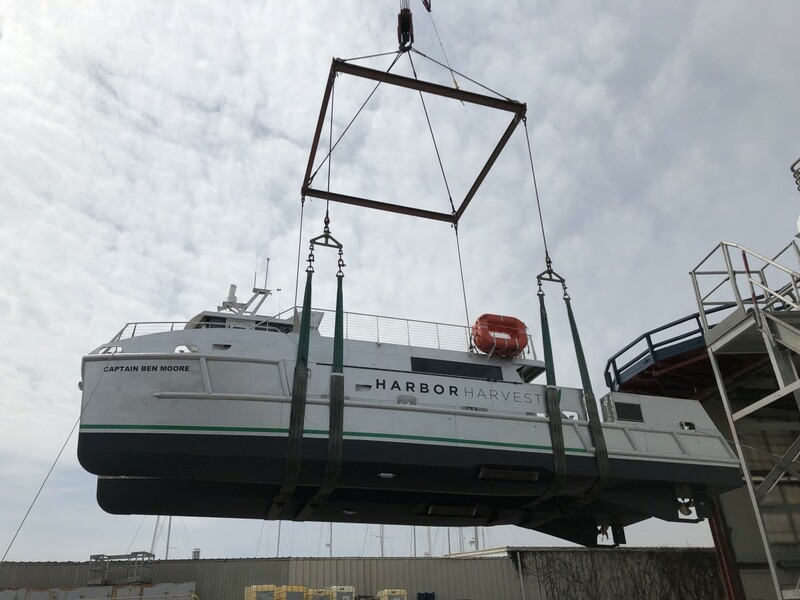 Harbor Harvest has a top speed of 16 knots and is outfitted with 300 square feet of cargo space, 100 square feet of indoor covered space and 140 square feet of walk-in refrigerated space. The boat can carry 12,000 pounds or roughly 28 pallet loads. That’s the equivalent of three to five full trucks and the boat reduces a potential 9-hour trip by truck between Huntington, N.Y., to Norwalk to about 45 minutes by water. The service will deliver dairy, produce, meat and fish produced by small local family farms from New England and New York. Additionally, Kunkel has reportedly already secured $1.8 million in funding from the U.S. Maritime Administration for a second vessel.